The world is blanketed in a swath of white and it feels like you haven't seen the sun in weeks - looks like winter is finally here! 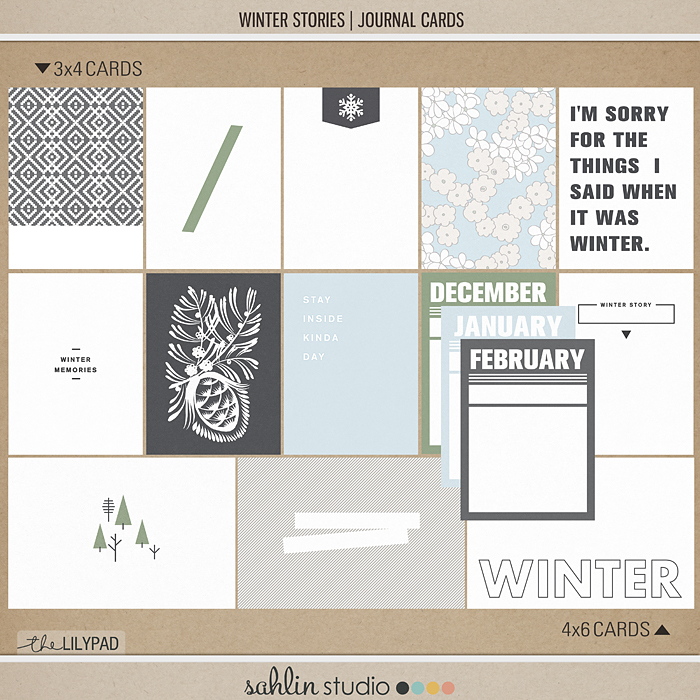 If a frigid polar vortex is keeping you bundled up inside, it's time to grab my Winter Stories: Journal Cards and get your scrap on! With pops of pale blue and green set against a beautiful neutral palette, these beautiful cards will inspire you to tell all your winter tales- from skiing adventures & snowball fights to capturing the beauty of the frozen landscape. Because after all, isn't it better to be telling your winter stories, than have Jack Frost nipping at your nose? The world is blanketed in a swath of white and it feels like you haven't seen the sun in weeks - looks like winter is finally here! 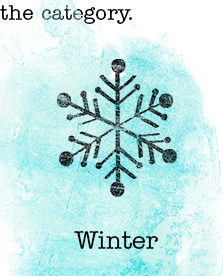 If a frigid polar vortex is keeping you bundled up inside, it's time to grab my Winter Stories kit and get your scrap on! With pops of pale blue and green set against a beautiful neutral palette, this delicate kit will inspire you to tell all your winter tales- from skiing adventures & snowball fights to capturing the beauty of the frozen landscape. Because after all, isn't it better to be telling your winter stories, than have Jack Frost nipping at your nose? 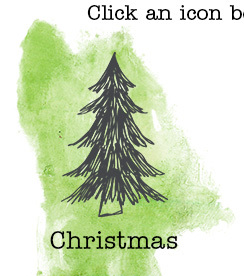 You could decorate your Christmas tree with all the wonderful elements in this collection. Brilliant Magic Lights and sparkling Sprinkles abound. 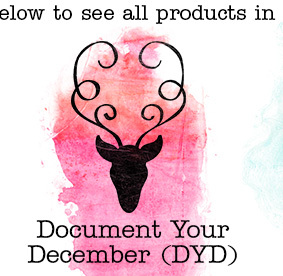 Festoon your pages with garlands of Loops, and borders of delicate frosty Overlays. Choose from 2 sets of OOB Frames and a generous supply of Word Arts and Flairs. You'll be delighted when you unpack the Painters Toolbox full of marvelous brushes and styles. No Christmas is complete without festive papers, and you'll find plenty of these in the collection as well. Happy Scrapping and Joyous Holidays! 14. Painters-Toolbox: Dynamic Blenders, 1 abr file with 19 different blending + painting brushes, PSE 13 higher, PS5.5 higher. The second add-on kit for Storyteller December 2018. Included in this pack are 20 various stamps borders and scatters. Pack is as previewed. This pack is FREE for current December Storyteller 2018 VIP Subscribers. A set of 4 layered templates available in PSD, TIFF, PNG and PAGE files. These templates were previously offered as freebies. Please check your stash before buying!